Outstanding high school athletes get up in front of their peers and announce which of the colleges that have been vying for their services they will attend in the fall, and proud alumni tally their school’s take. Signing day is a big deal for anyone who follows college sports. David Russell, who retires at the end of this month as Missouri’s higher education commissioner, would like to see the same fervor and excitement around academics, not just athletics. 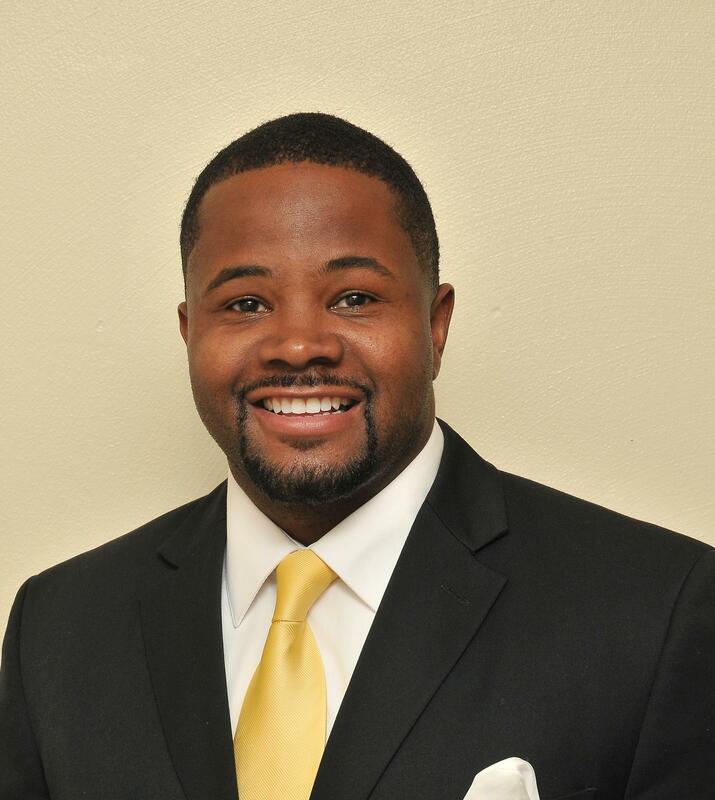 “We want to have young scholars standing up and being recognized and maybe pulling out a hat that says they're going to go to the University of Missouri or maybe St. Louis Community College,” Russell said, explaining one of the many initiatives the Department of Higher Education is working on to encourage students to attend college. Russell talks about his tenure. Here is what Russell had to say on a variety of higher education topics. The interview has been edited for length and clarity. 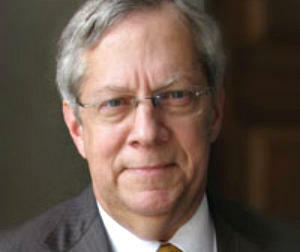 David Russell, retiring commissioner of higher education. I'm pleased to say, having watched this for 25 years, we have far more cooperation and collaboration among our institutions than I can ever recall before. We have our colleges and universities, two-year and four-year, public and private, all much more familiar with each others' missions and what they're trying to achieve. And as resources become more difficult to come by in higher education, they have learned there is a great deal of benefit to be derived from working closely together and planning for the future. As I think back on higher education in Missouri, I can only remember one time, for about two years during (Gov. Mel) Carnahan's administration, when the economy was going gangbusters and there seemed to be enough money for all kinds of special projects and to deal with various issues we have struggled with for many years. Those two years were all too brief. We went into the recession around the turn of the century, and we've not been in very good shape financially as a state since then. So we've had to look for other ways to accomplish our objectives. There's no time like a fiscal crisis to bring people together and to get some consensus on change that needs to be made, and the adoption of even more efficient ways of getting things done. I believe that is actually what has happened. You can only do that for so many years, and I think we're probably at that point. Missouri is No. 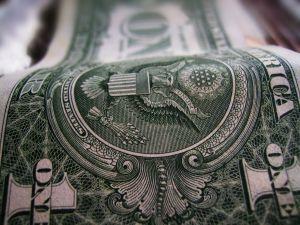 1 in the country in terms of the lowest rate of increases in tuition. But they have been squeezed because they can't raise tuition very much, and students are being squeezed because they have difficult issues in finding the money to go to school. And the General Assembly's had some difficulty keeping up with demand, in terms of state financial aid. So you bring all of these factors together and you've created a situation that cannot sustain itself. What we have to struggle with now is what should that model look like in the future. Quadrangle at the University of Missouri-Columbia. I happen to subscribe to the idea that positive things are coming out of these debates on the campus. It's encouraging to see our young people develop a sense of social awareness and appreciation for what it takes for them to be successful. And so the peaceful kinds of demonstrations we saw on the campus, compared to what I witnessed in the '60s, are worlds apart. I think these were very constructive kinds of conversations. I think those kids have learned a lot, and we'll probably see them as leaders in our communities in future years. So I don't happen to believe that this has as long term a negative effect as some people might fear. A concern that I've increasingly had is the attainment gap. How many students from minority groups are not only entering college and staying there that first year, but staying long enough to complete a degree? So when you look at the number of students that complete a degree over say a six-year span of time, for a four-year degree, we're seeing that about 51 percent, 53 percent of Caucasian students complete a degree. But only 43 percent of Hispanic students will complete a degree, and that number falls to about 26 percent if you're looking at African-Americans. We can't achieve our big goal of having a workforce in Missouri that has 60 percent holding a post-secondary credential, a degree or certificate, by 2025 if we are not more successful in reaching out to those underserved groups and helping them to be more successful. I believe if Harris-Stowe did not exist in this community, we would be working very hard to create it. I'm thankful that Harris-Stowe is here with its mission to serve a population that needs more of our attention. I think they have some superb leadership right now. I happened to be in St. Louis when some of the issues were occurring with Ferguson, and the new president, Dwaun Warmack, was invited to come downtown for meetings with the city fathers and political leaders as they worked with the business community as they tried to figure out how can we do better. How can we deal with these issues that are holding our kids back? Dr. Warmack made his campus available, made his faculty available. He's been right at the epicenter of efforts to address these issues since then, and so I really believe that we owe it to the people of St. Louis and Harris-Stowe State University to make sure they have the resources they need to do the job right. He's got some challenges ahead, as he remakes the financial model and the academic model for his institution, but I'll guarantee you that at the rate he's going, he will make that an absolutely stellar institution within the next two years. Many of our students coming out of high school are not prepared to do college work. We've asked ourselves why is that, what is our responsibility and how can we help our public schools in preparing these students to come to college ready to learn at the college level. That means we have to get outside of our offices and down into those institutions. Something like 36 percent of the students coming to college have to take remedial courses. They take those, and they have to pay for them. They don't receive any credit for them. That just simply gets them up to a level where they can do the actual college courses that they're going to earn credit for. In the last two years, we've seen an almost 10 percent decline in the number of students having to take remedial courses. They're now enrolled in full credit bearing courses. And the institutions are very excited about that, and I think students are going to be a lot more amenable to that kind of arrangement. If you're going to satisfy your growing demand for careers in the STEM disciplines (science, technology, engineering and mathematics), you've got to back up and look at what's happening in high school, and then help those kids as they transition to college to be sure that they're getting the courses they need when they need them to fill those positions when they graduate. We’re hearing more and more as we talk strategically to folks in business, in government and in our communities that there is this disconnect between what students seem to have learned in college and what they may be expected to do when they enter the workforce. If you're working with a target that's constantly moving and evolving, these jobs and the requirements for them are changing all the time and it's very difficult for higher education to keep up with those changes. That is something we recognize we have to do. We need to appoint a blue ribbon panel that takes a hard look at higher education and reaches some conclusions about how well we're doing our jobs, that either affirms that we're being more efficient or we're not and can do better. I think we could withstand that kind of scrutiny, and it's important to the people of Missouri that we engage in that kind of activity. That's a pretty big tall order, and you probably need a governor directing that. I'd say people are definitely getting a bargain these days. 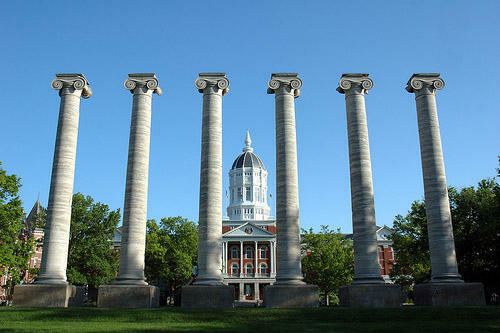 Consider that only about 20 percent of the budget of the University of Missouri comes from the state of Missouri. You're talking about an institution that is keeping tuition level, is not receiving a significant portion of its overall budget from government and is finding other ways to raise the funds to operate its research programs as well as its baccalaureate programs. Every once in a while, universities hit the jackpot, but there aren't that many Gatorade discoveries out there these days. I don't look at university research as a pot of gold that can help the university fund its activities. It's more important that the university is providing a research outlet for budding businesses and entrepreneurs. Increasingly, business is looking to our universities to provide that research as they work on new product ideas. So that synergistic partnership between the two is going to redound to the Missouri economy in the long term. But we're operating with some disadvantages. One large one is that Missouri does not have a standing fund, a matching fund, that can be used whenever the federal government comes up with a proposal and seeks submissions on a particular research project. If you don't have a standing fund that you can apply against those grant applications, you're going to lose out on a lot of the very best, most lucrative grants, to other states that do have those kinds of matching funds standing by. I would give myself an A-minus. I've managed to start a lot of reform-minded initiatives in higher education. In and of itself, that does not mark a successful term, but I feel like I've been successful in helping to change the nature of the conversation we're having about higher education and its accountability and its responsibility to the people of Missouri and to our businesses and communities and government. You can't do that overnight. It's been something we've had to work on consistently. But I feel very satisfied that we're on the right track. Gov. 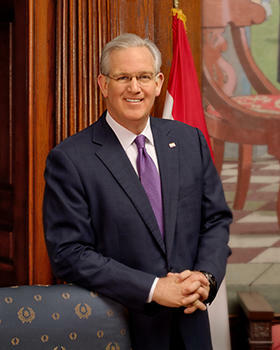 Jay Nixon wants public universities in Missouri to keep their tuition the same for the 2014-15 school year in exchange for an increase of $36.7 million in his budget request for higher education.